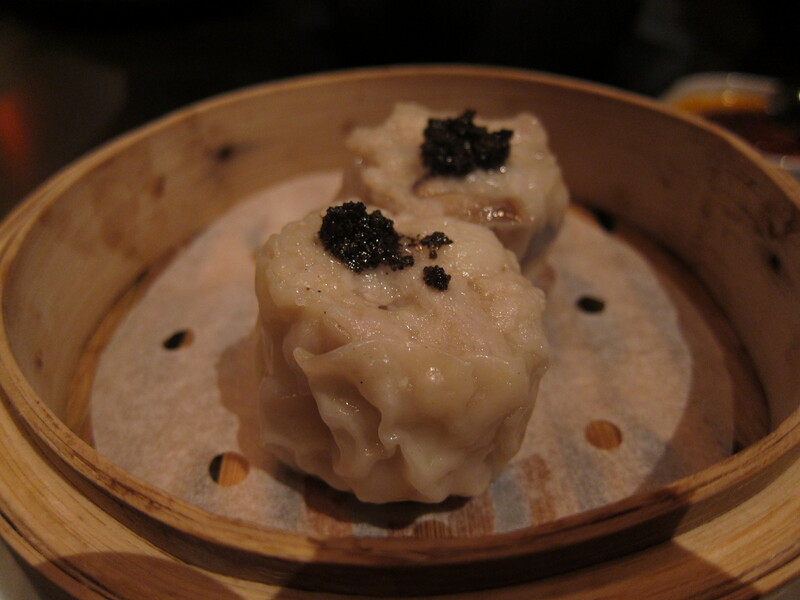 Went to The Monogamous Chinese a couple of months ago, here’s the review that was up on Sassy a while back! 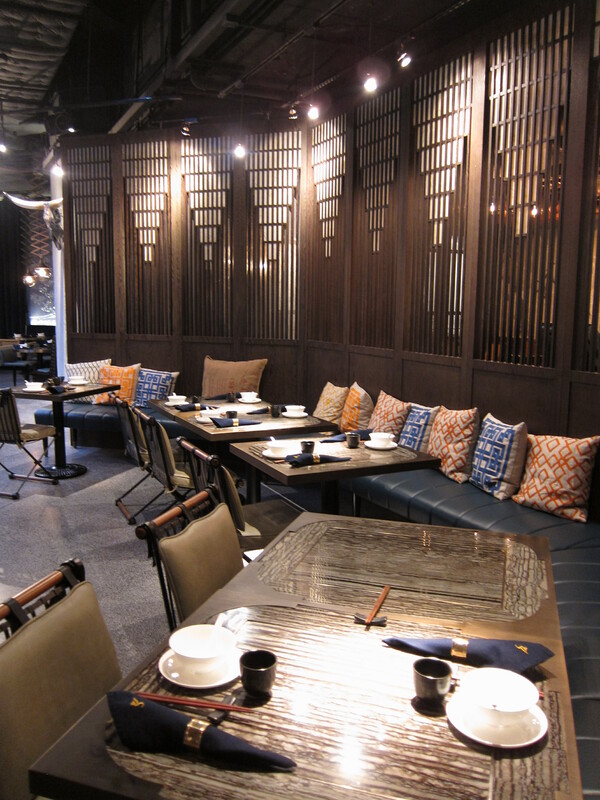 One of Soho’s newest offerings is the unusually named, The Monogamous Chinese, a Sichuan and Peking restaurant which literally hides under the Mid-Levels escalator between Elgin Street and Caine Road. Don’t be lazy like me and take the escalator all the way up to Caine Road, as you’ll just have to walk down the steps again! The interior is stylishly quaint, with a distinct retro-1950s feel. 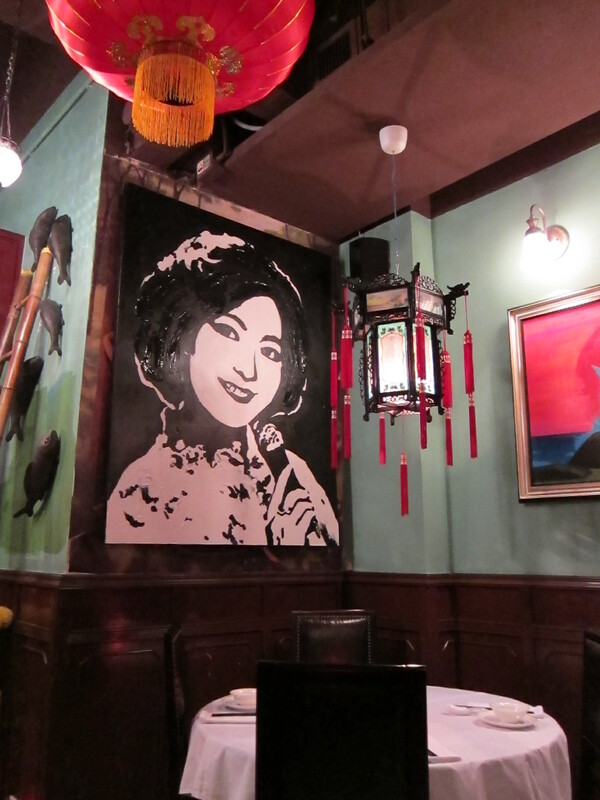 There’s a contemporary aspect to the traditional decor conjured by the modern artwork that adorn the walls- from a striking portrait of Chairman Mao at the back of the restaurant completely made from business cards of patrons, to the mixed-media image of a Chinese opera singer. 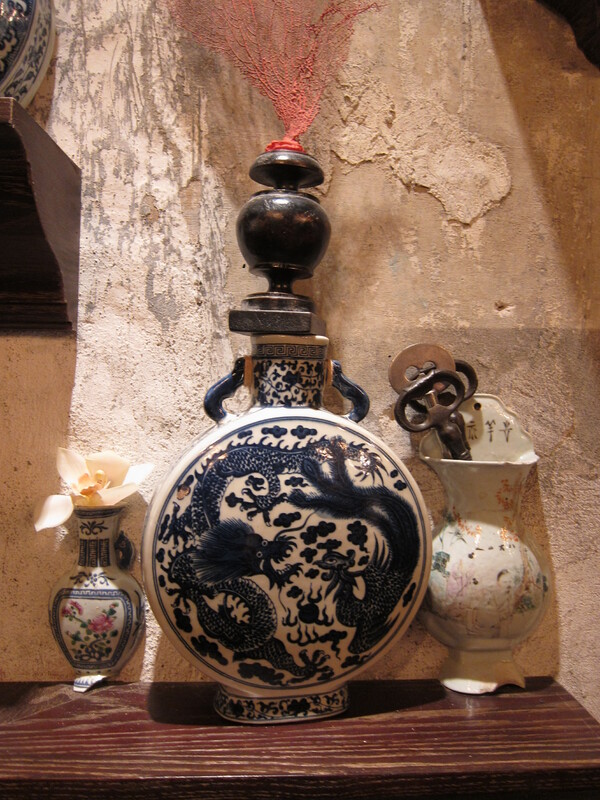 I found the decoration rather arresting, especially coupled with the low-lit Chinese red lanterns and the intimacy of the space. So why the moniker, ‘Monogamous’? 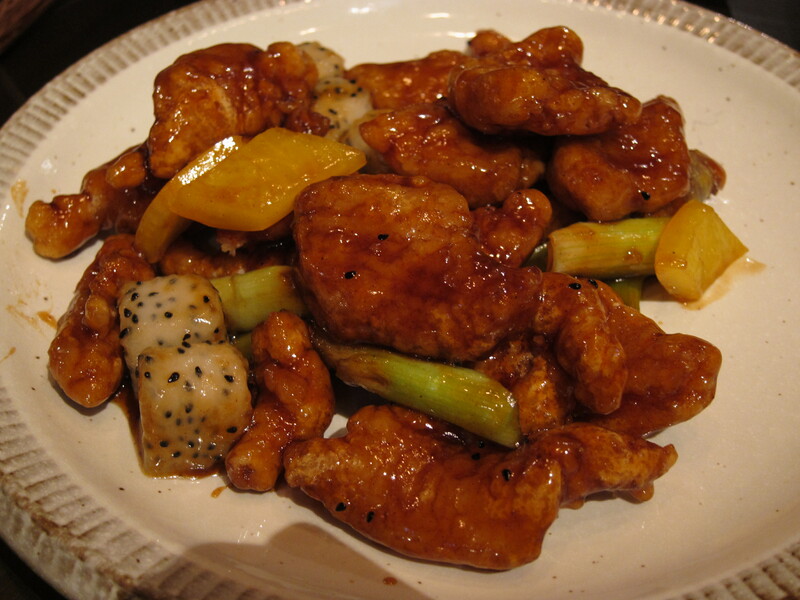 Interestingly, this appellation is an homage to the first perpetually monogamous Chinese Emperor Hongzhi and also to Chefs Shizh and Chiu in the kitchen, who are faithful in using only the freshest ingredients in keeping with the traditions of the dishes. All the sauces, spices, dumplings and noodles are made in-house. In essence, the idea is that all ingredients marry together in harmony, just like a monogamous marriage! We had a wonderful evening grazing our way through a few of their signature dishes and to start we had the deep fried shrimp spring rolls, (nice and crispy and accompanied by a cracking sweet and sour sauce), the okra with wasabi and garlic sauce, (good crunch and a punchy sauce), followed by the brilliant deep fried tofu with spicy garlic and salt, which were utterly moreish. 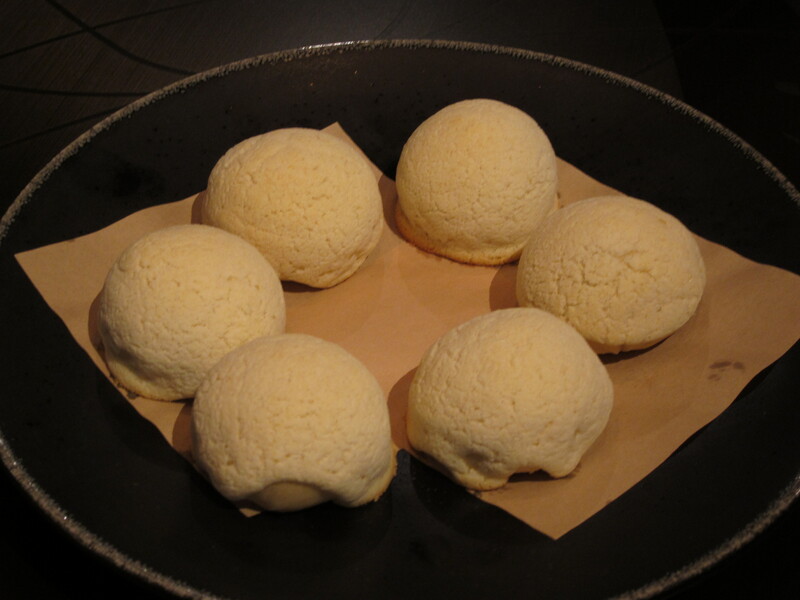 I loved the delectable salty shell which gave way to the piping hot, silken tofu inside. 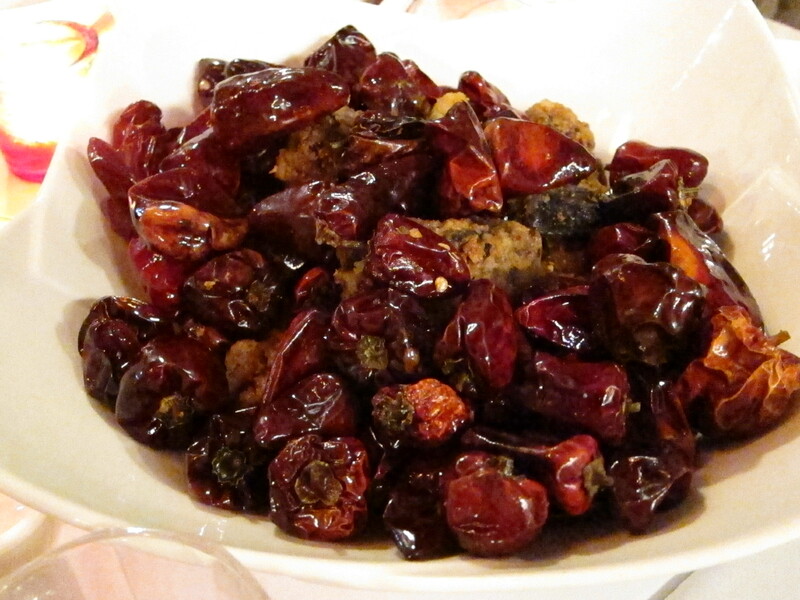 Another notable dish was the deep fried black-boned chicken with diced Sichuan chilli and peppers. Once you find the chicken ‘treasure’ in the pile of dangerous chillies, you’ll find yourself getting poutier with each nibble as the spices assail you. The other signature we sampled were the sautéed tiger prawns in spicy kung po sauce, poached sliced beef in a vat of steaming hot chilli oil, deep fried mutton spare ribs with spices and the sautéed fish in black pepper sauce. The sliced beef was tender and flavoursome from soaking up the chilli broth and as I’m a fan of this dish normally, I barely noticed the tongue-numbing process. The mutton spare ribs were also well done and I enjoyed the tiger prawns, although, by this stage, we were eating so many spicy dishes that all the flavours ended up running into one another on my palate. If you want some vegetables to jazz up what can end up being a meat-heavy meal, I recommend the sautéed Sichuan style Jade vegetables which I found to be excellently prepared, with a great bite. 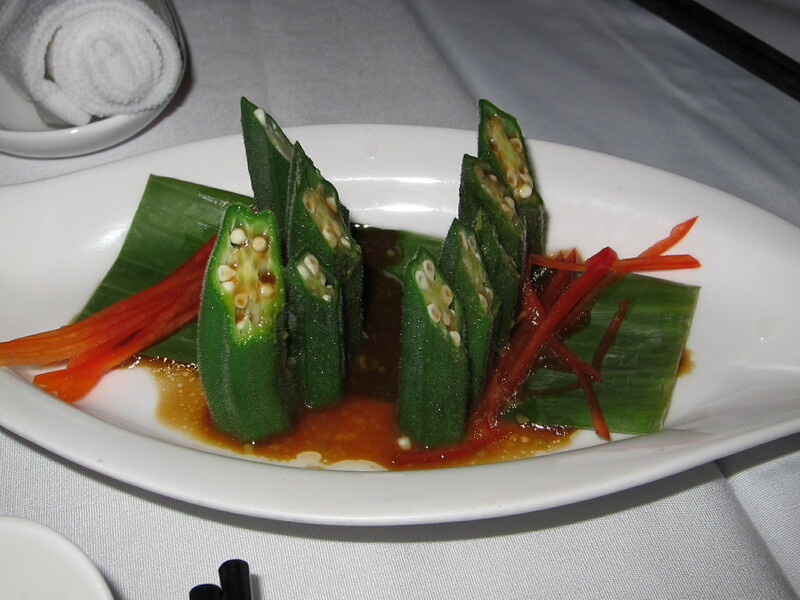 The spice was quite subtle and thankfully did not overwhelm what is a rather delicate tasting vegetable. 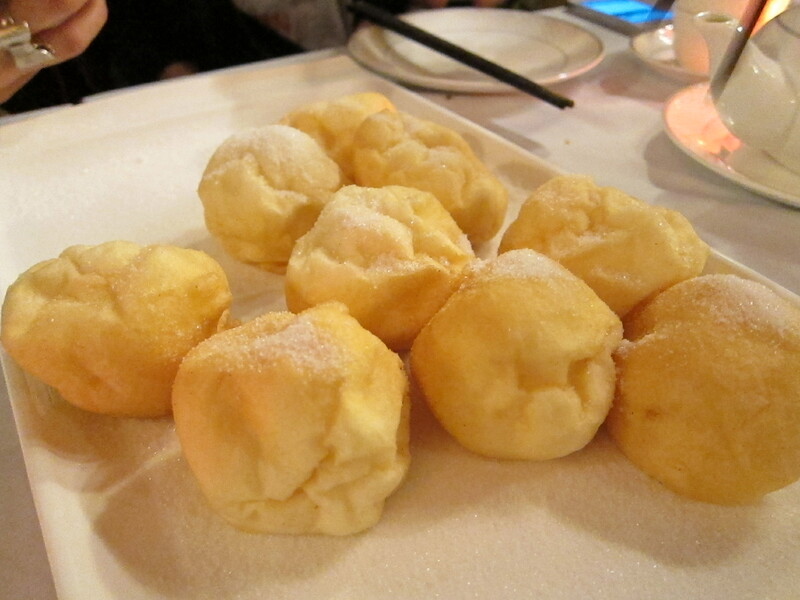 A dish that would make me go back to The Monogamous Chinese for more and more has to be the incredible deep fried ice-cream soufflé balls that we had for dessert. Dusted generously with sugar, the soufflé was ever so light and airy and the vanilla ice-cream rich and cooling, which, after a fiery meal like we had, was a deliciously sweet end to a fun evening. 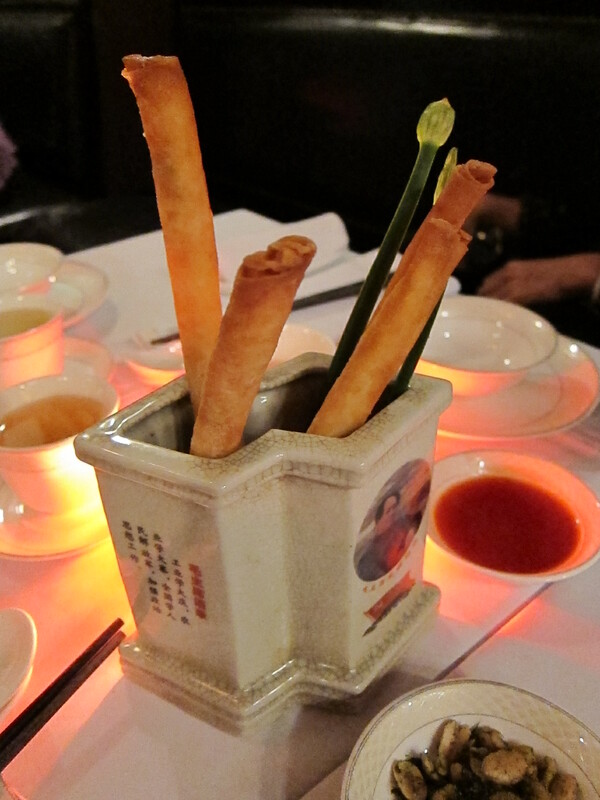 The Monogamous Chinese is an intriguing addition to the culinary scene and it’s lovely to see a bit of individuality not just on the menu, but also in the decor. It’s certainly a place to go for something a little different, and with an offering of $88 lunch sets, who’s to say that we can’t be monogamous in our mealtimes? Categories: Beijing, Chinese, Sichuan | Tags: Central Hong Kong, The Monogamous Chinese | Permalink. 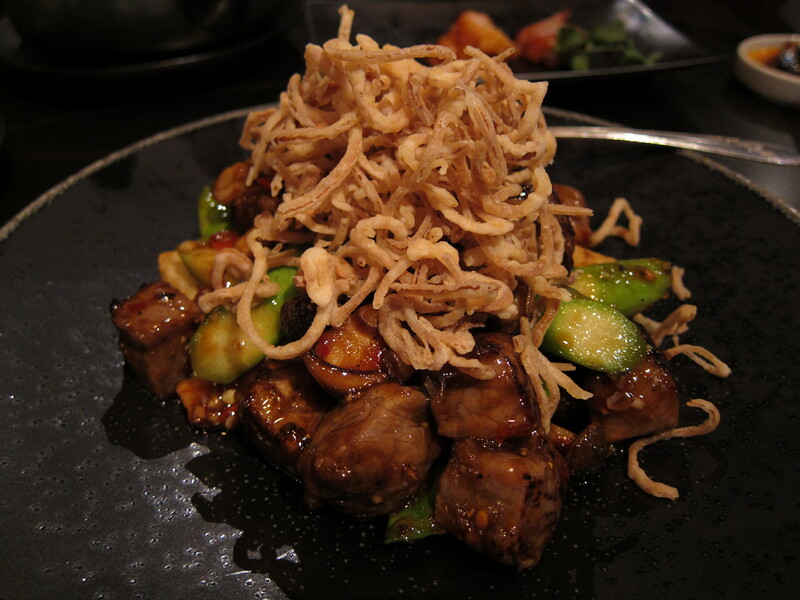 Chopstixfix: Featured guest blogger on HK Spotlight, World’s 50 Best Restaurants! 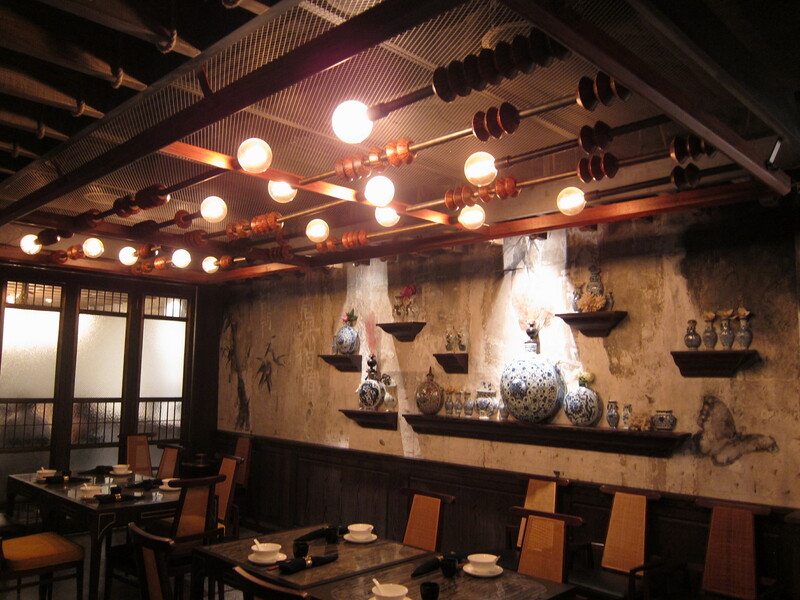 I’m delighted (and very excited) to announce that Chopstixfix is a featured guest blogger on World’s 50 Best Restaurants: HK Spotlight, recommending Yu Chuan Club. 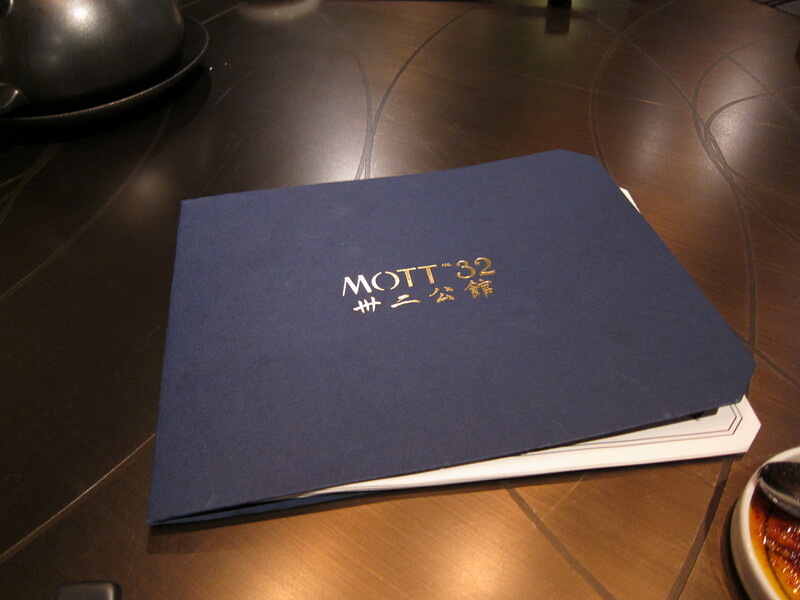 If you are here by way of World’s 50 Best Restaurants, HELLO! and a very warm welcome. I hope you enjoy reading my culinary adventures 🙂 Please do drop me a line if you have any comments or would like some foodie recommendations if you’re visiting Hong Kong for the first time! 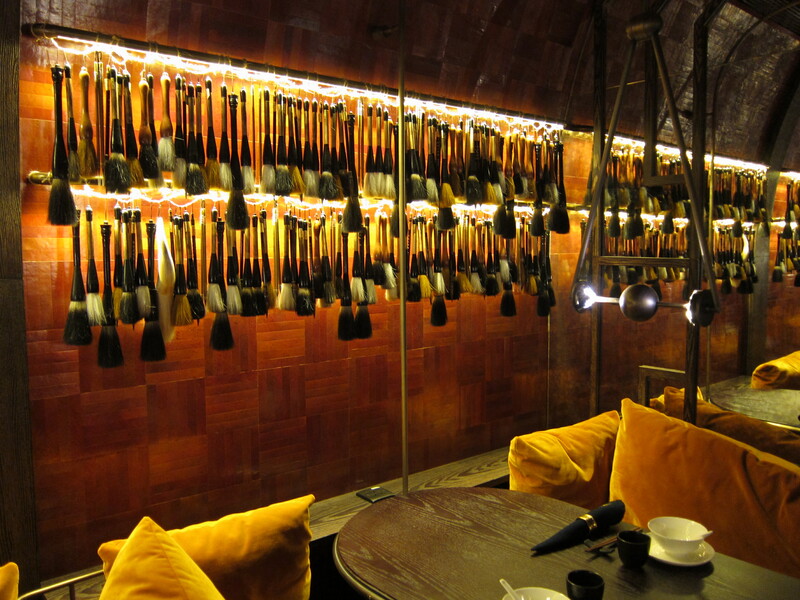 Categories: About, Private kitchen, Sichuan | Tags: Hong Kong, Sichuan, World's 50 Best Restaurants, Yu Chuan Club | Permalink. 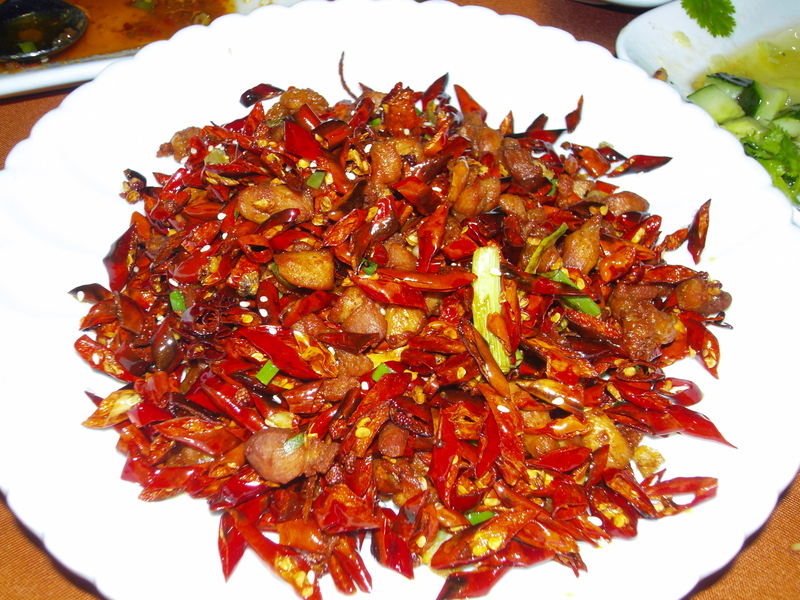 If Yu Chuan were a song, it would be “Spice up your life” by the Spice Girls, and its mascot would be the Red Hot Chilli Peppers. Off the beaten (tram) track and hidden away down a side street in Wan Chai, this unpretentious, cheerful private kitchen is dedicated to serving up delicious classic Sichuan dishes. It’s fun, it’s cool and it’s a haven for those chilli junkies out there. Rumour has it the friendly proprietor is the sister of the lady who runs SiJie, the other famous private Sichuan kitchen in Wan Chai. If true, then competition was never this “heated” (get it?). This family style kitchen is run smoothly and service is polite and efficient. 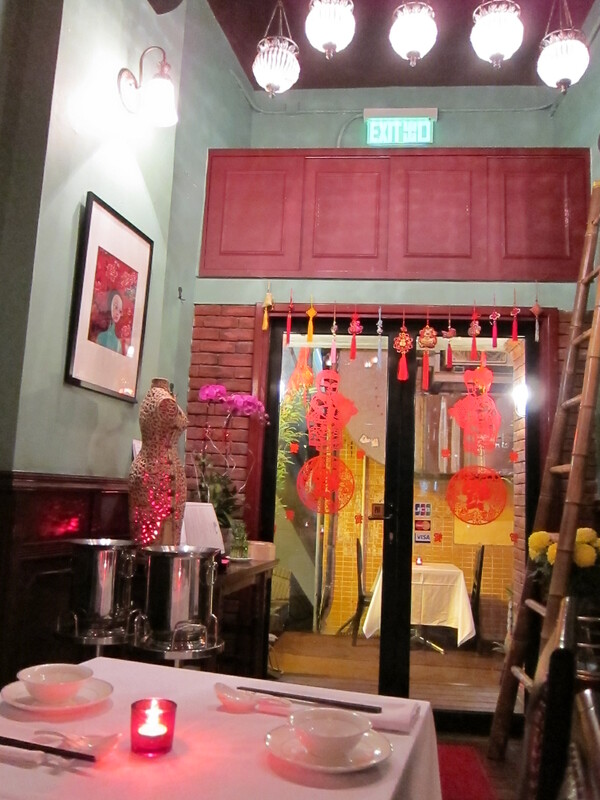 The decor is also a bit more “up-market” compared to SiJie. 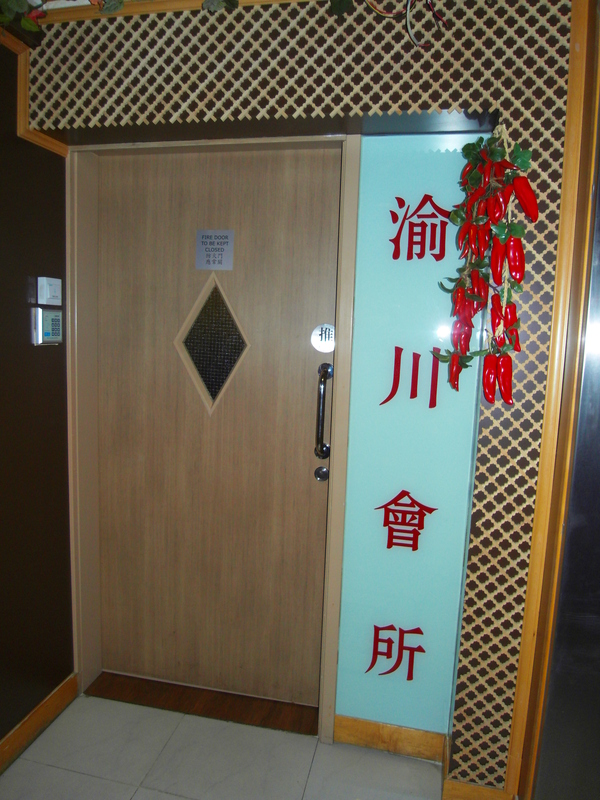 The doorway is marked by a bunch of Sichuan chilli peppers and when you step into the establishment the spicy aroma hits you immediately. It’s small but cosy inside and great for groups of friends who really appreciate this cuisine and enjoy sweating and “spicing up their lives” together! Booking is a must as there are only 6 tables. 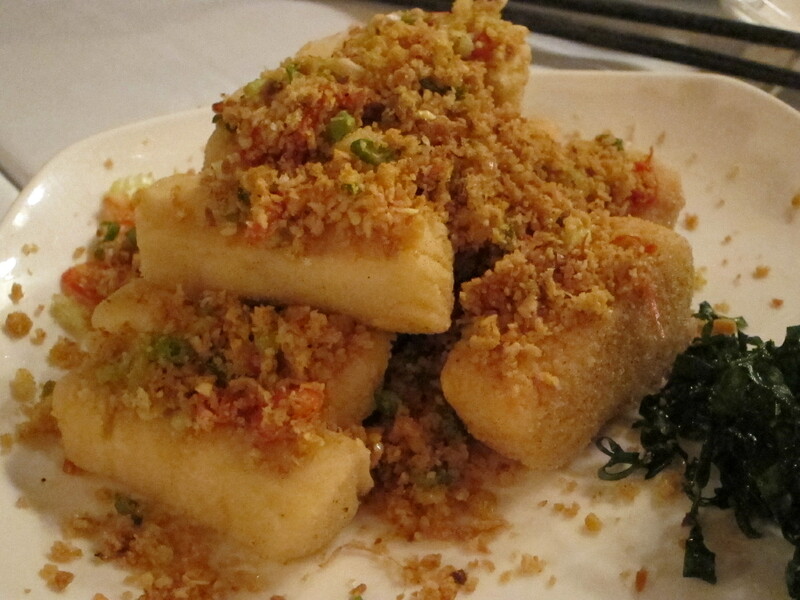 The quality of the food is excellent (essential ingredients are imported from Sichuan), and there are some outstanding dishes. Making a quick buck is clearly not on the agenda and this is reflected in the price. 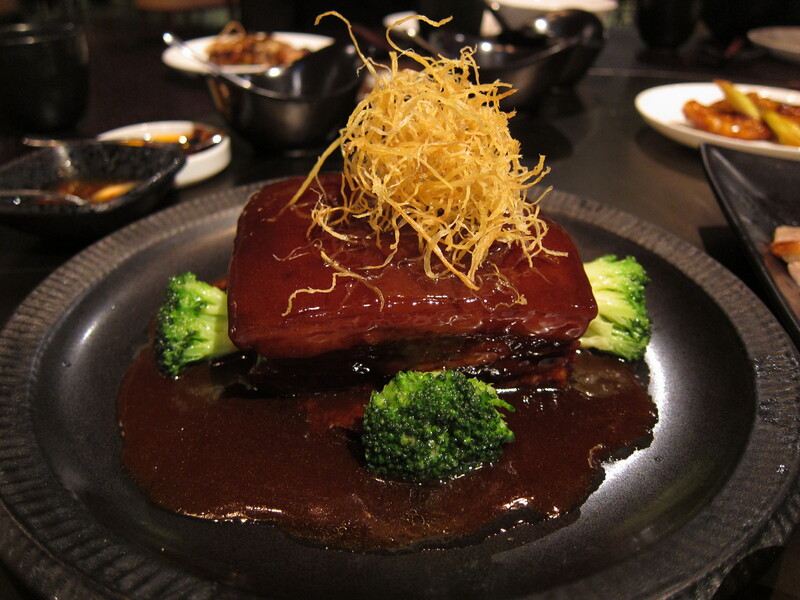 At $168 per person (excluding service charge), you really do get your money’s worth and it’s evident the owner and chef pride themselves on providing their customers with a traditional Sichuan dining experience. 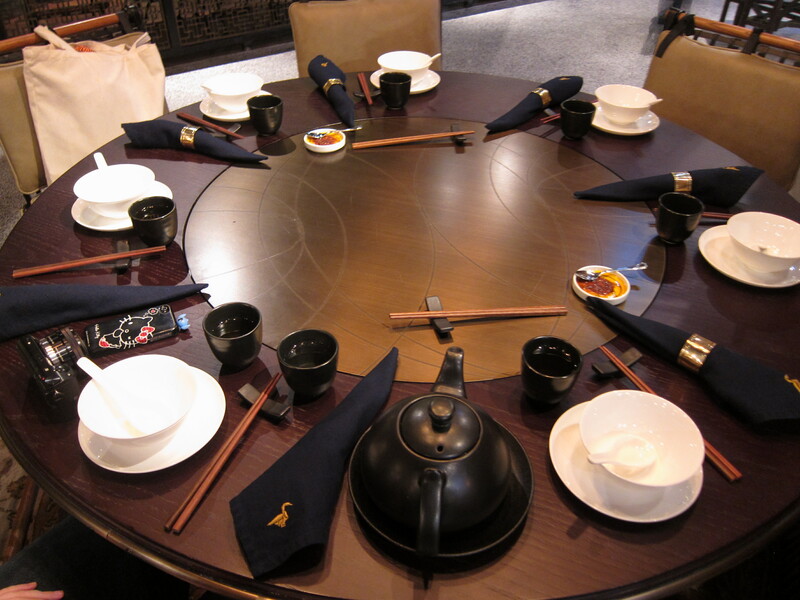 The menu is well organised (identical to Sijie) and there is a clever system: 2-3 people can choose 2 cold dishes and 3 hot dishes, 4-5 people: 3 cold, 4-5 hot, 5-6 people: 4 cold and 5-6 hot etc. 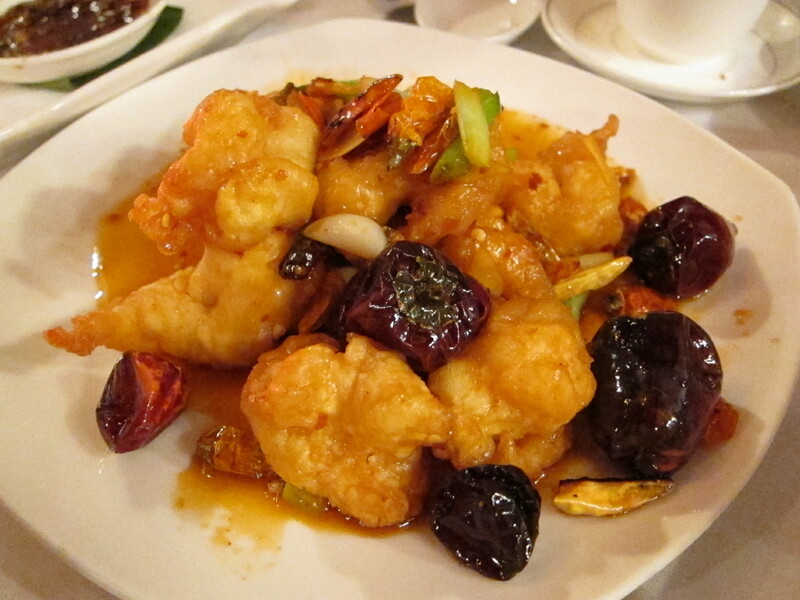 What is fantastic about Yu Chuan is the balance of spice and chilli. As much fun as it is to burn your tongue off, you want to be able to taste the flavours and the chef achieves this brilliantly while still giving your tastebuds a good kick! 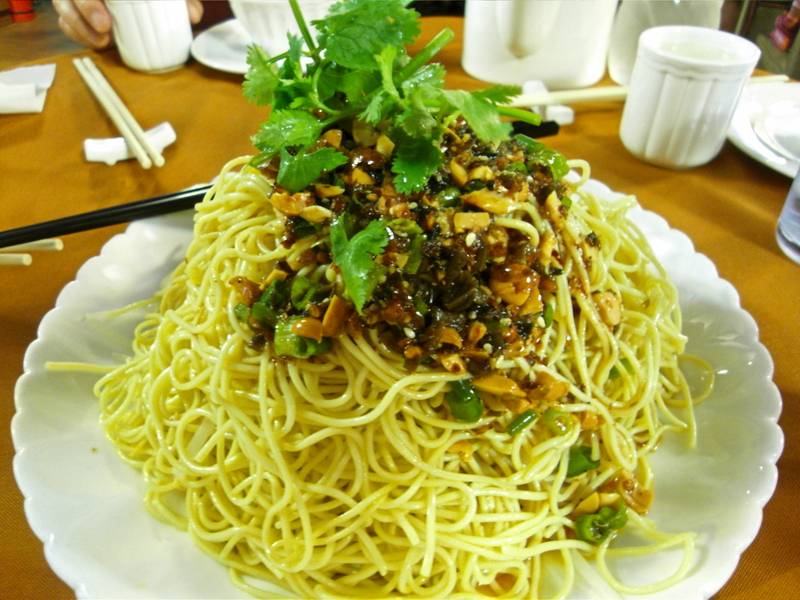 Sichuan cold noodles: a wonderful, delicate play of flavours from the garlic, chilli oil, vinegar and peppercorns tossed together with wheat noodles. 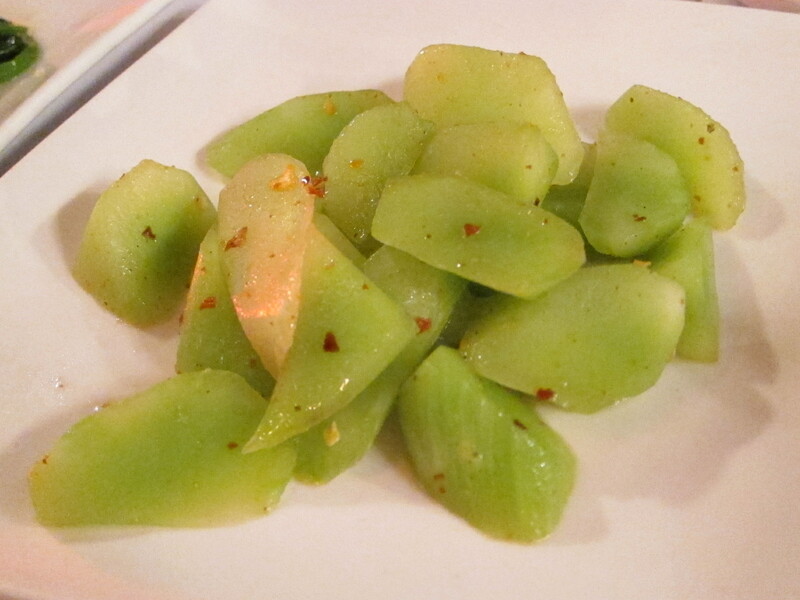 Spicy and sour eggplants: firm yet soft, perfectly prepared slices of eggplants coated in a mildly spicy sauce. 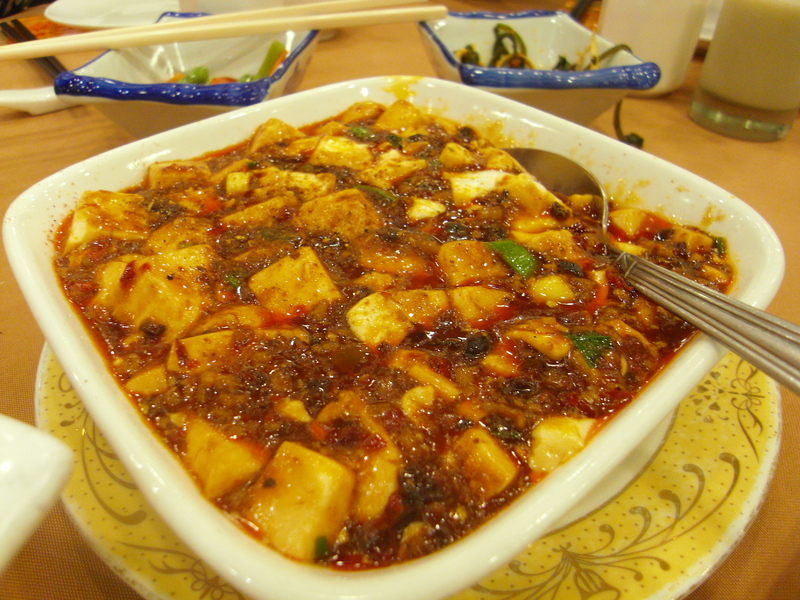 Ma Po Tofu: beautifully spicy and addictive, one could happily eat the entire dish. Could have done with a bit more pork but than that- excellent! 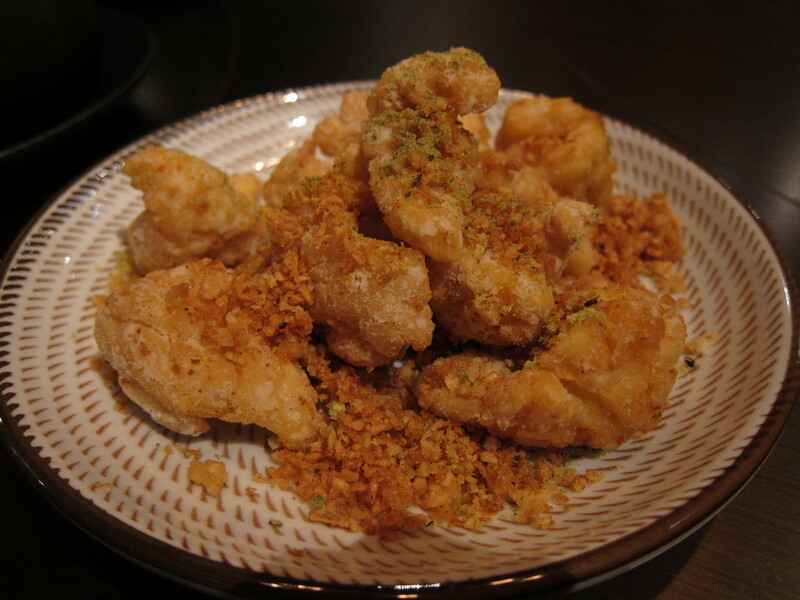 Chongxing deep fried hot chicken: love the presentation, small nuggets hidden in a gigantic heap of dried Sichuan chillies and peppercorns. 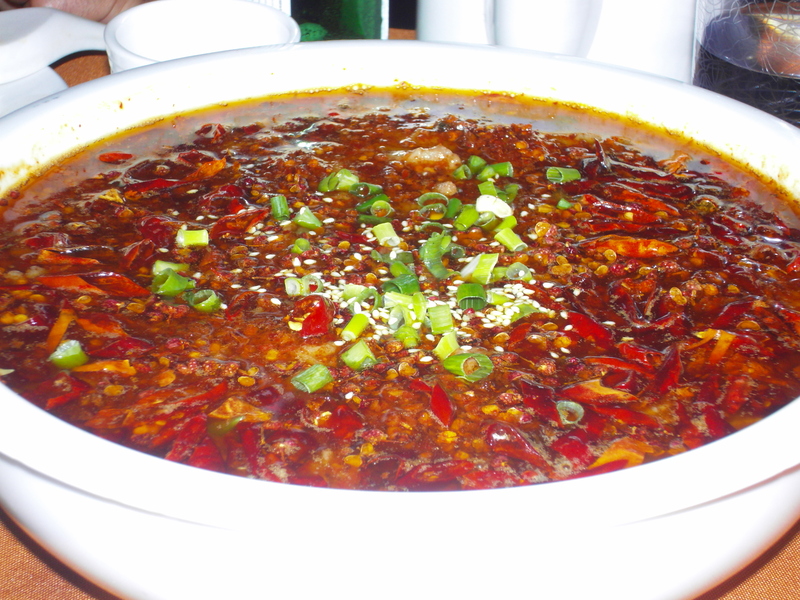 Poached beef in hot chilli oil: tender slices of beef bobbing gently in a huge vat of chilli oil broth. 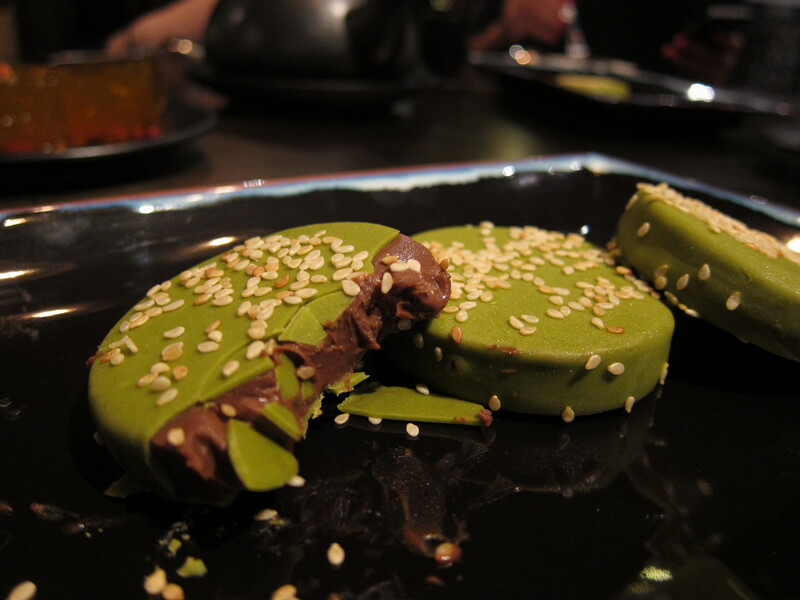 Amazing to look at, even better to eat! Other good dishes were the Cucumber in garlic sauce, the Chongxing steamed chicken meat in hot pepper sauce and the Fish in broth with preserved vegetables. 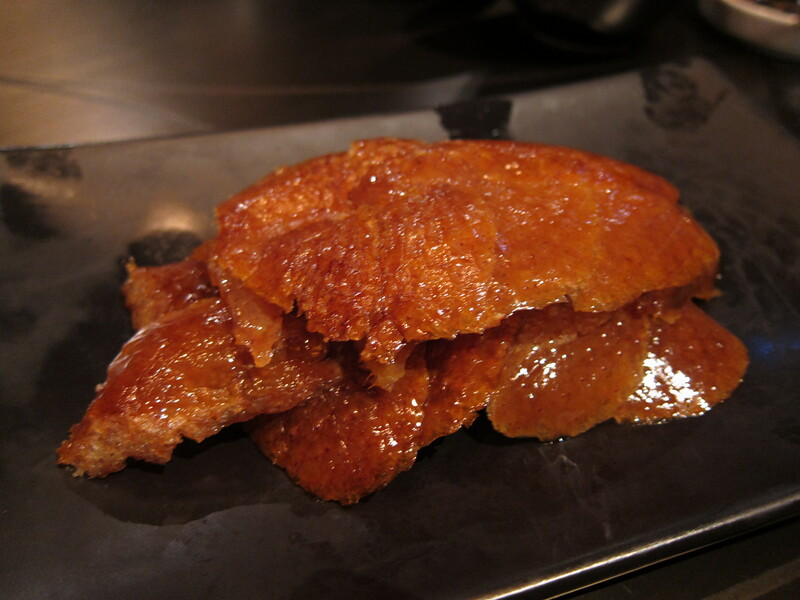 The most interesting dish was the Duck and purple yam in beer, which took several bites for me to decide if I liked it or not.. turns out I liked it, but it is a bit of a strange taste. 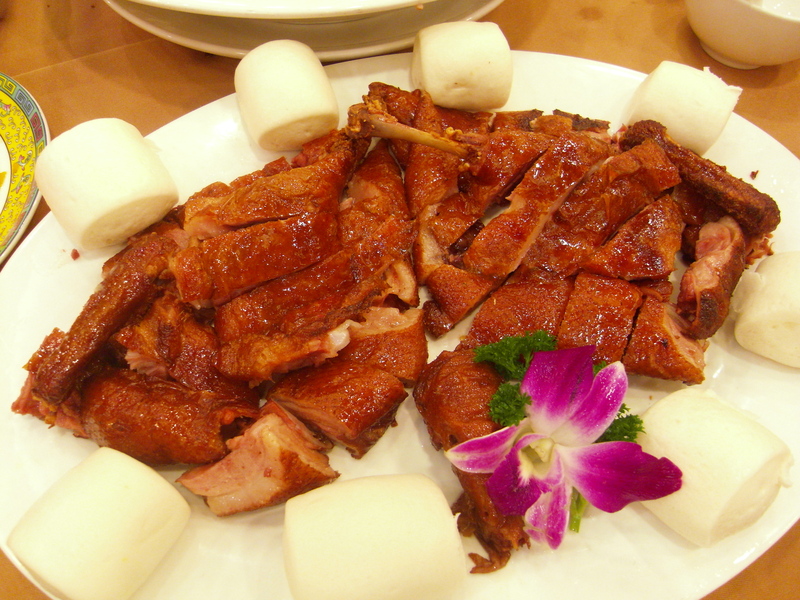 Categories: Private kitchen, Sichuan | Tags: Central, Chongxing chicken, Hong Kong, Ma Po Tofu, Sichuan, SiJie, Wan Chai, Yu Chuan | Permalink. 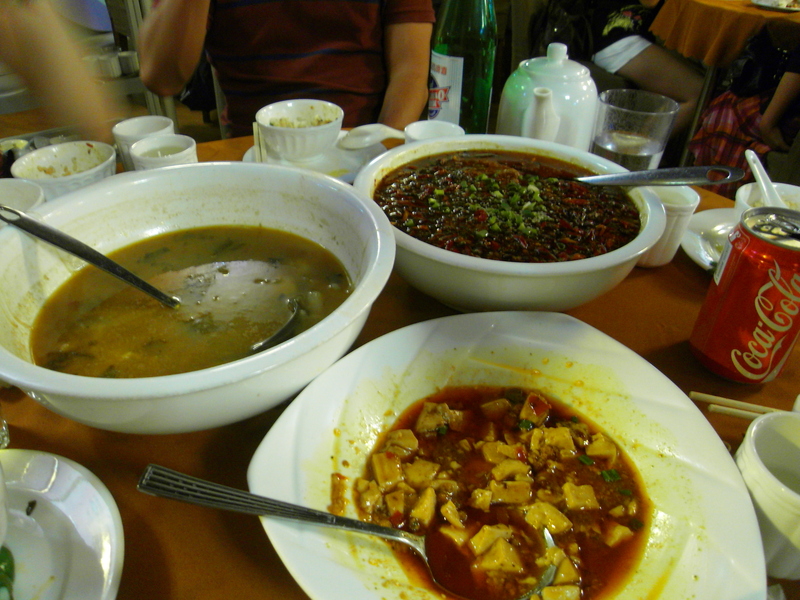 J, G and I like Sichuan food A LOT. It’s not because we can take mass amounts of chilli. Nope, it’s because we enjoy suffering and sweating through our meal and torturing ourselves with the next bite. Slightly masochistic? Yes. Funny? Yup! Especially when we can point and laugh at each other when one gets a sudden attack of chilli heat and numbness and has to down a whole pint of beer or any available liquid on the table. It’s also great at giving you the bee stung look on your lips haha. 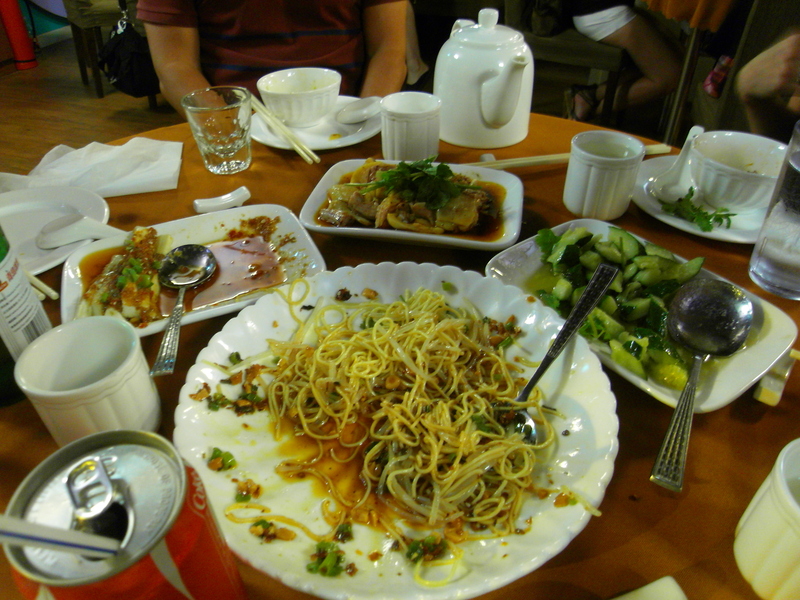 We decided to sneak in a Sichuan meal while the weather is still relatively cool. 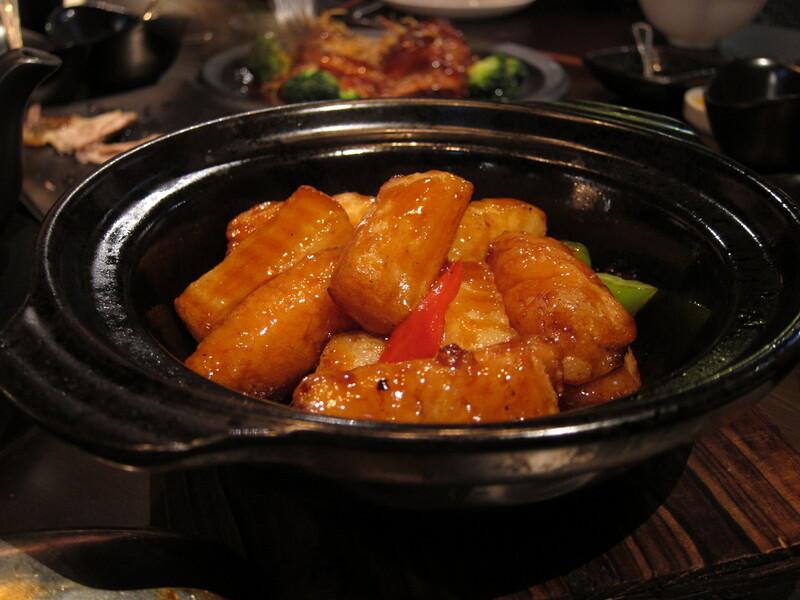 I think Sichuan food is sooo satisfying when it’s slightly chilly outside, it definitely warms you up! It’s not nearly as fun when the weather’s boiling and you’re deliberately eating stupidly spicy food. 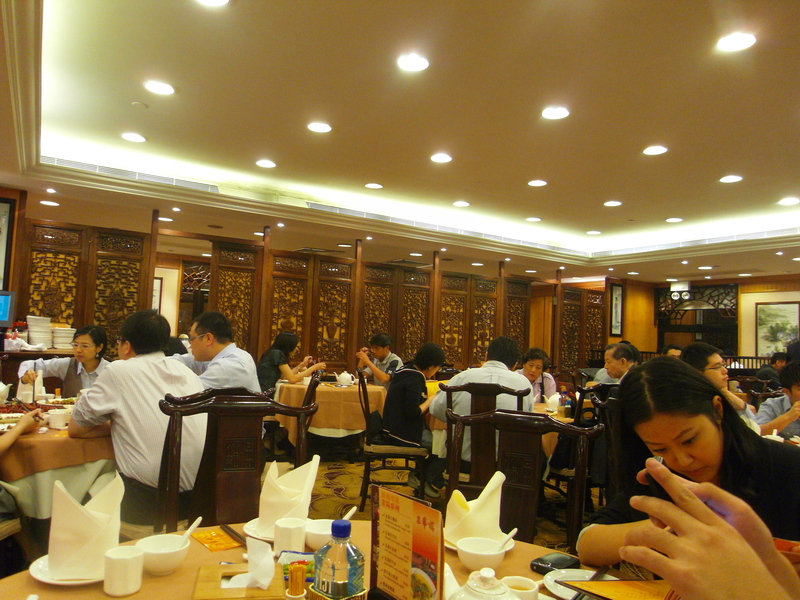 I organised dinner for 8 at San Xi Lou in Mid-Levels, which I think is one of the best Sichuan restaurants in HK. My friends A aka “Vendino Boy” and R aka “R-rated”, can’t take spicy food very well so out of fairness, we asked the chilli rating on some of the dishes to be reduced to mildly spicy. Our waitress looked at us like we were so LAME for asking for less chilli but in all honesty, it actually meant that I could really taste the food! Usually I’m so distracted by the heat that I fail to register the flavours and the textures so it made a pleasant change to be able to stuff my face without crying 😛 . 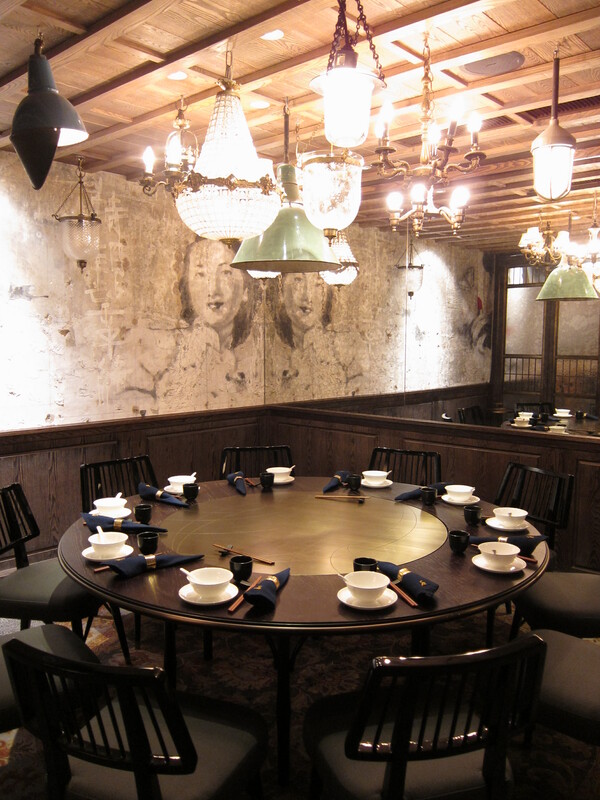 San Xi Lou is very understated in its decoration with simple carved wooden panels, wooden booths and tables. The ambience is fun with diverse groups of friends and families collectively plunging their chopsticks into huge bowls of chilli oil. 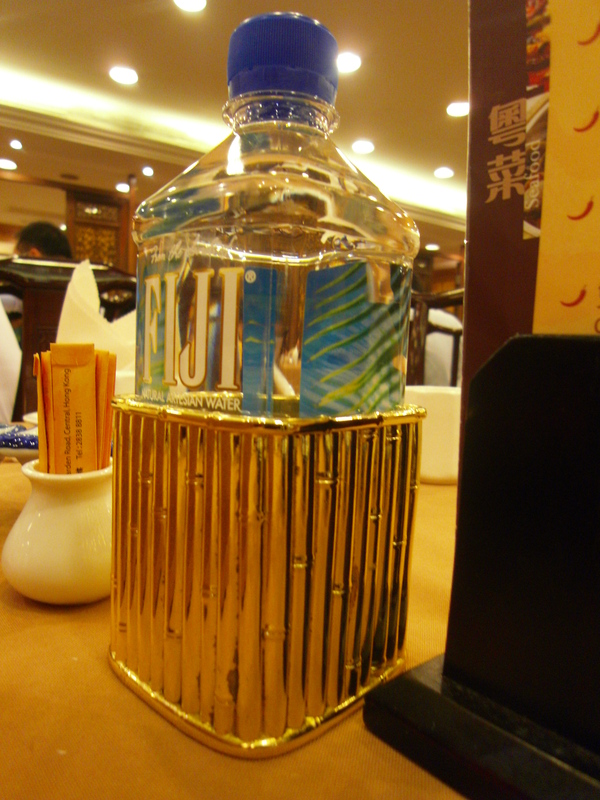 One thing that always makes me laugh is the presence of an emergency bottle of water on each of the tables in San Xi Lou. They also have an excellent selection of beverages to counteract the heat, one of my favourites is cold soyabean milk. We discovered something else even better: the cold lychee and aloe vera juice which came in a tall glass with lots of ice and made me feel like I should be drinking it on a beach in Hawaii. 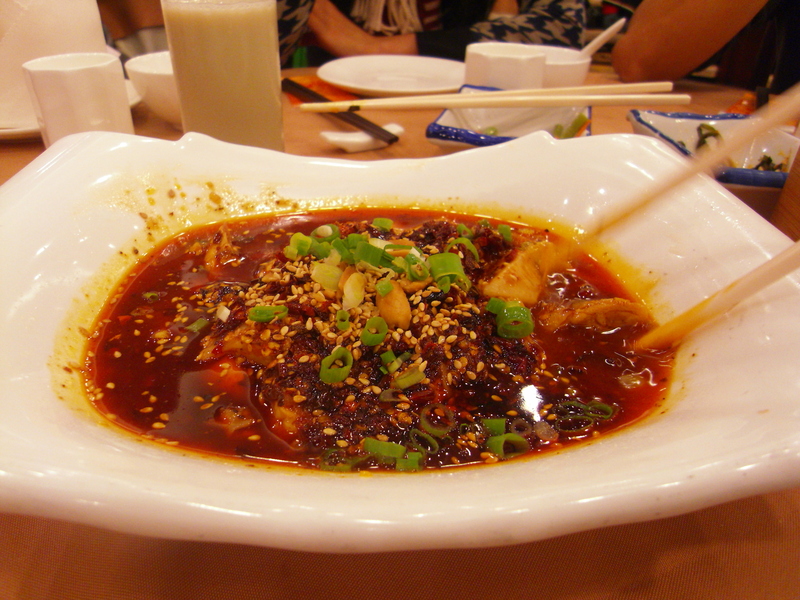 San Xi Lou offers hot pot as well as your normal a la carte menu with a variety of traditional Sichuan dishes. 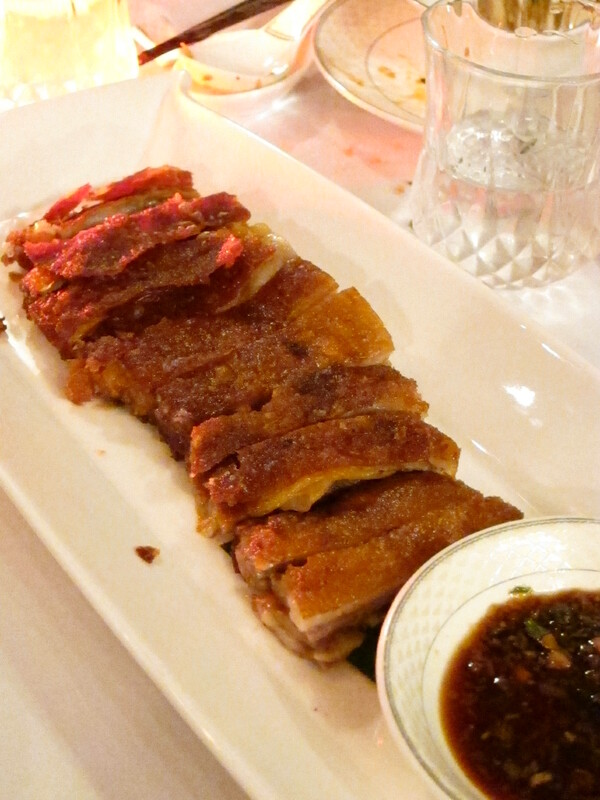 I have a few favourite dishes at San Xi Lou and I thoroughly recommend that you try them! First up for starters we ordered the sublime marinated cold chicken with peanut spicy sauce and the diced jelly fish with garlic sauce. 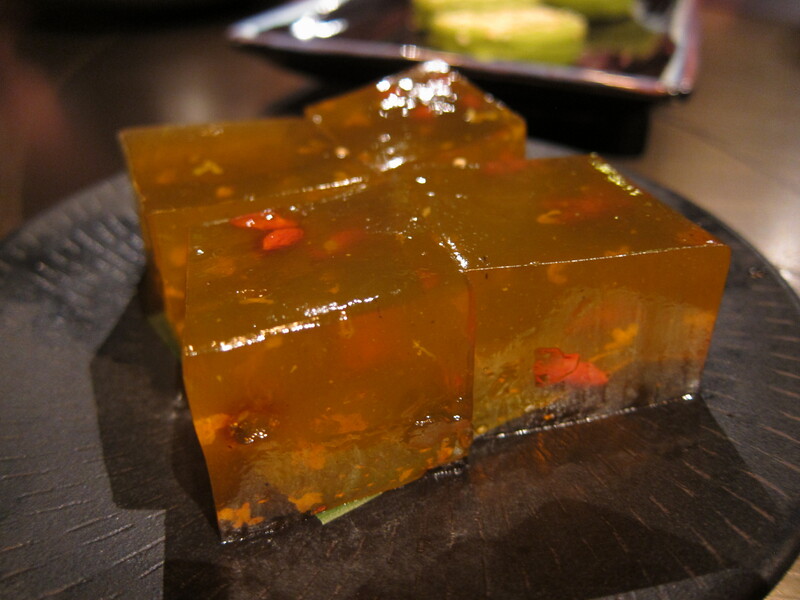 The jellyfish is sliced thick and coated with generous amounts of garlic, enough to ward off a group of Vampires! Non spicy dishes included the sichuan style smoked duck, the sauteed prawns with salted egg yolk and the turnip and pig’s bone soup. The smoked duck was absolutely amazing. 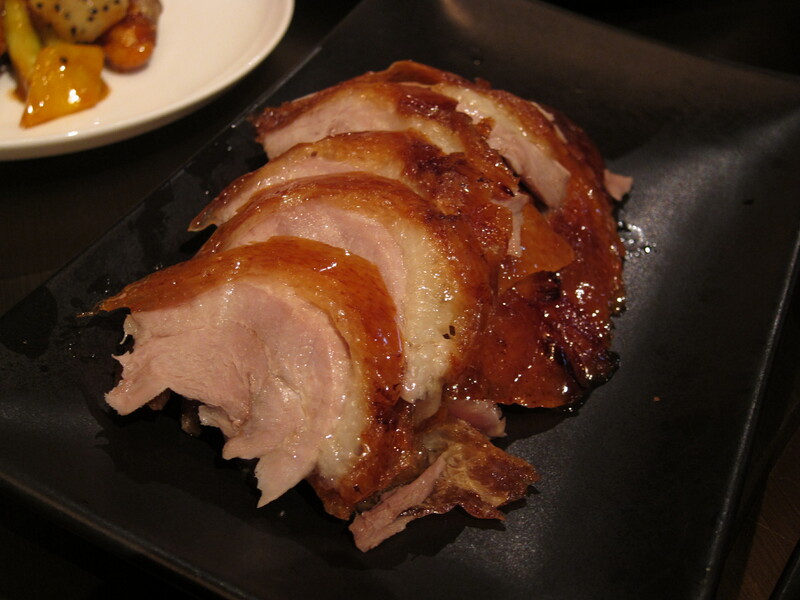 It was succulent, fat and salty and tasted like a cross between ham and duck, which we affectionately called “hack”! 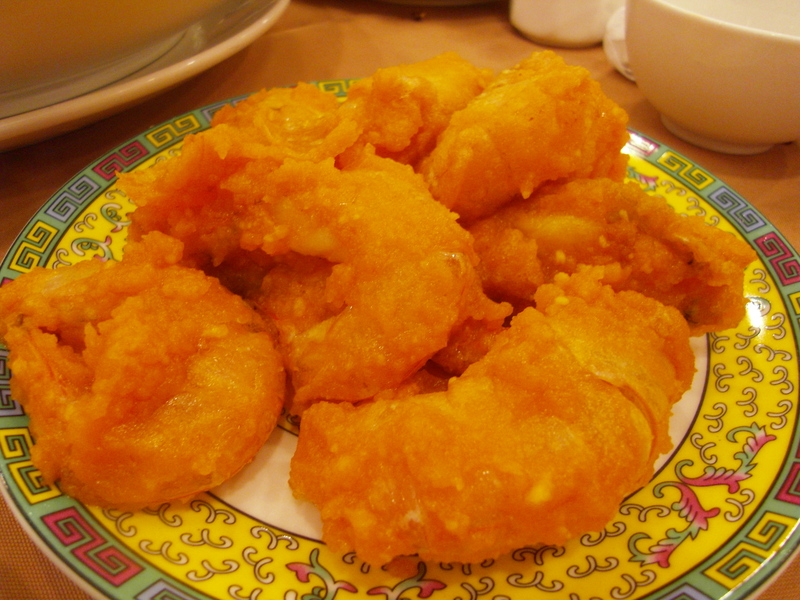 The prawns with egg yolk were moreish, big chunks of salted egg yolk dripping from the prawns and nicely crunchy prawn shells. 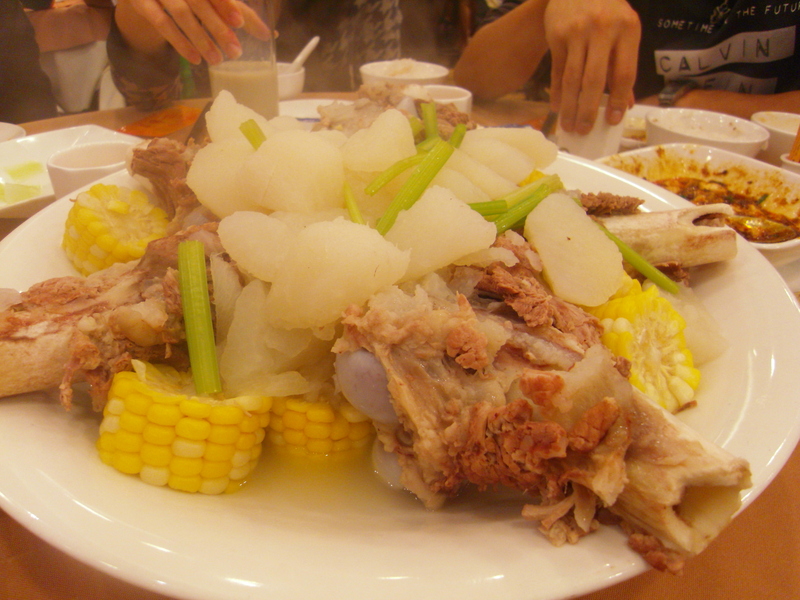 The turnip and pig’s bone soup was ginormous and after the soup was ladled out, we were left gawking at this ridiculously large plate of pig’s bone and turnips in the middle of our table. 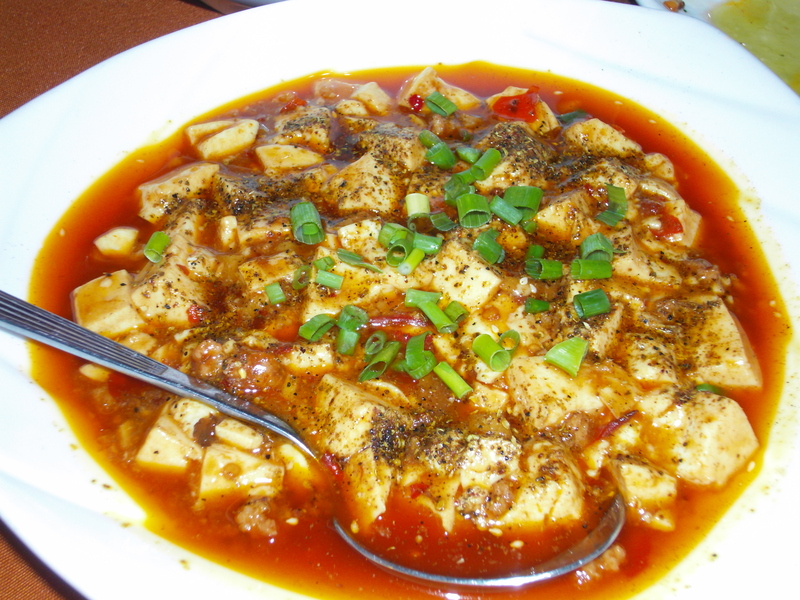 – Ma Po Tofu, a sometimes stupidly fiery dish of tofu set in a spicy chilli sauce in a beautiful bright red oily chilli suspension. 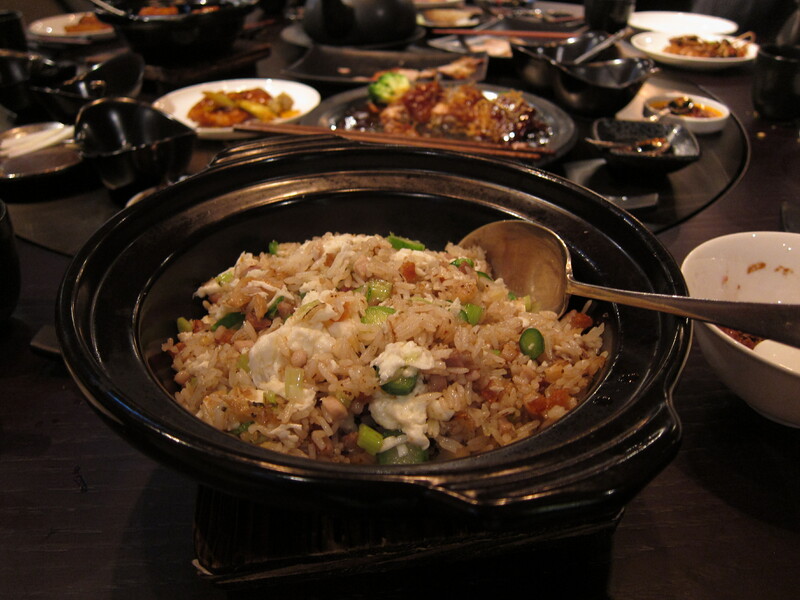 Most of us couldn’t get enough of the Ma Po tofu, gobbling it up with our bowls of rice. 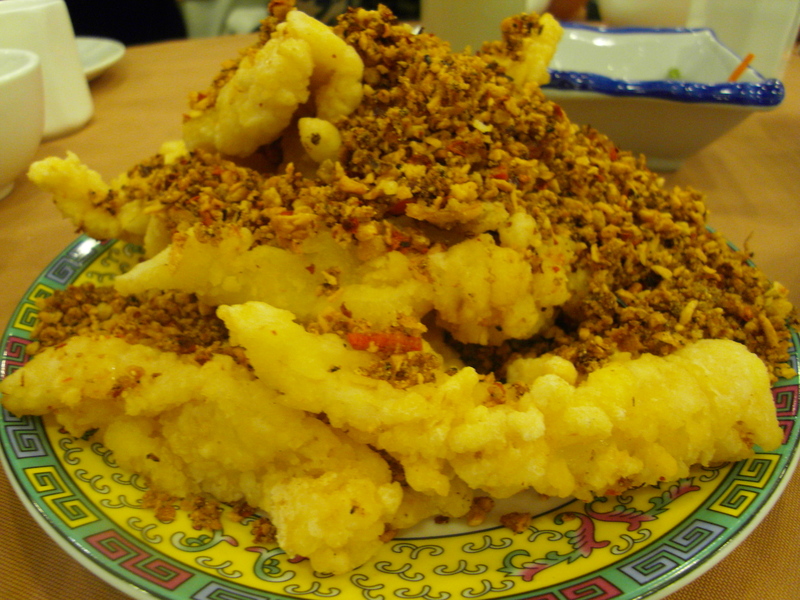 – Garlic, salt and pepper deep fried squid- omg, so delectable and addictive, we had 2 plates! The squid pieces were huge and wonderfully chewy. – Soft shell crab with pepper and chilli- the pièce de résistance! 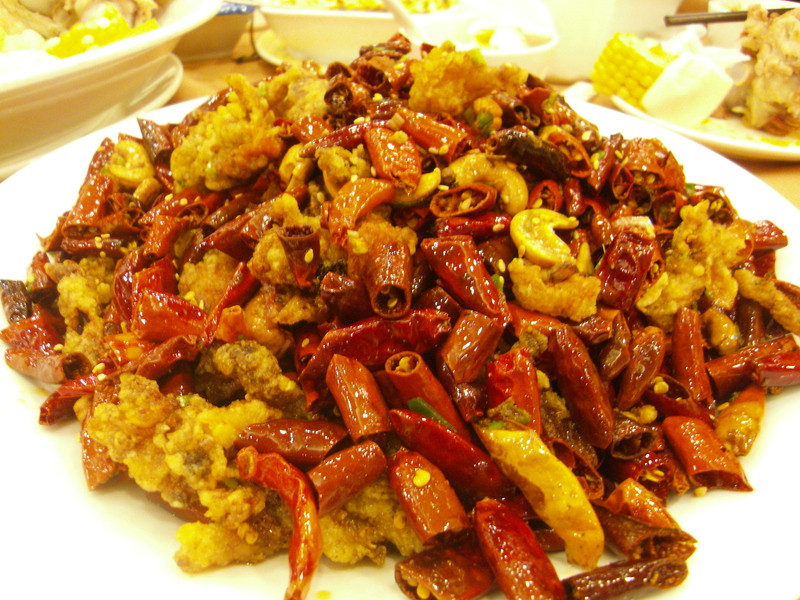 This dish never fails to produce a reaction, mostly due to the fact that the deep fried pieces of soft shell crab are buried in a giant mount of frightening looking dried chillies and Sichuan peppers that renders your mouth numb if you accidentally bite into one. 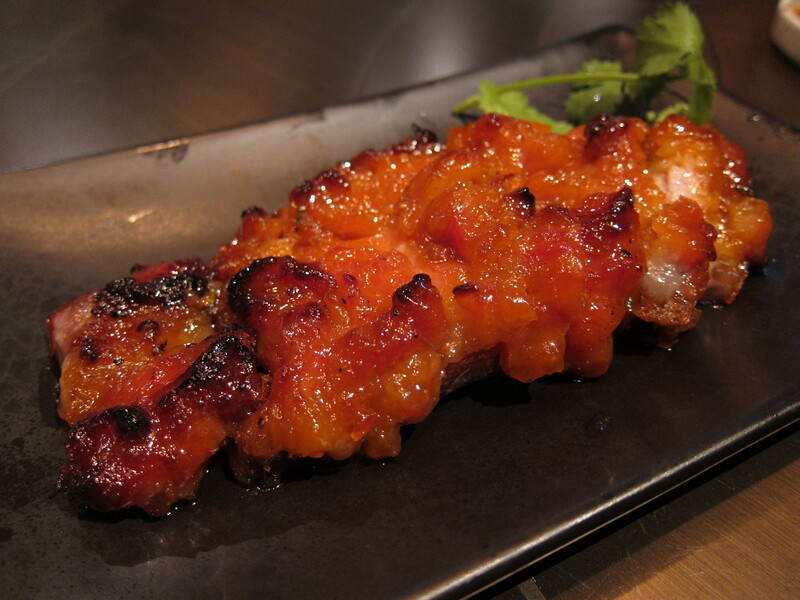 The explosion of flavours is intense and very aromatic. YUM! All in all a brilliant night and an awesome restaurant. Go spice up your life people!! 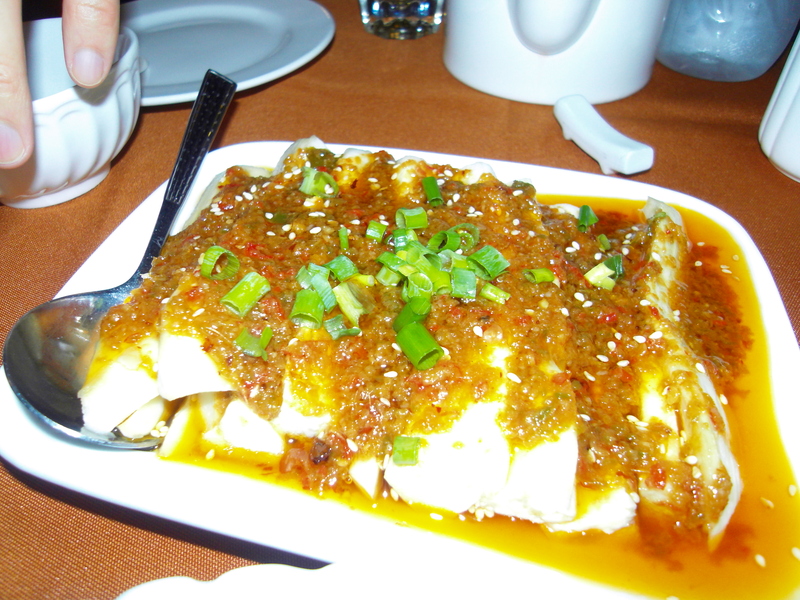 Categories: Sichuan | Tags: Hong Kong, Ma Po Tofu, Mid-levels, San Xi Lou Restaurant, Sichuan, Sichuan pepper, Soyabean milk | Permalink.